Simply one visit to the Isle of Wight and this idyllic spot will surely entice your to pack up, sell your house and move over there. Especially, if you are looking to move somewhere else for that peaceful, tranquil retirement. The Island offers so much one must fully appreciate the beauty and variety that surrounds them. The summer is longer and warmer than virtually anywhere else in the UK allowing you to make the most of the blossoming countryside and sandy beaches. With a wide variety of places to buy from houses to cottages, you can enjoy all the various activities, attractions, shows, festivals and good food they have. Robinson’s International have listed below some of the reasons why you should consider moving to the most noteworthy beautiful Island. Of course, as an island the Isle of Wight has many coastal attractions including thirteen award-winning beaches, for its clean and safe water all year round. Lifeguards watch over all the major beaches so you can enjoy sunbathing and water sports in safety. What could be healthier than going for a good long walk, breathing in the fresh sea air. There are hundreds of paths and cycle ways you can reach almost every nook of the Island on foot or by bike. Fields, forests, valleys and other unspoiled natural landscapes feature pathways for walking and cycling. Try the Island’s distinctive ales and ciders. 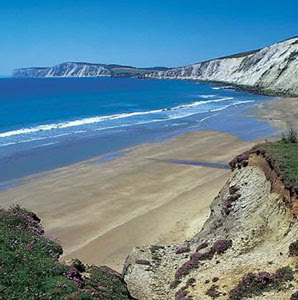 The Isle of Wight possesses three major breweries and many small independent producers. You can also have a taste of locally produced and award-winning foods such as baked goods, cheese and chocolate. All the food and drink can be sampled in the local shops. Every year the Island hosts a number of exciting events and world-famous festivals. Attracting thousands of visitors, each event is unique with spectacular shows and entertainment to suit everyone. Two of the country’s largest music festivals take place here with people flocking from all over the world to see the celebrated musical talents of rock and popular music.